Members of the local chapter of the Missing in America Project wait for the interment ceremony to begin. For more than a century, Americans have set aside the last Monday of May to honor those who have fallen in military service to this country. 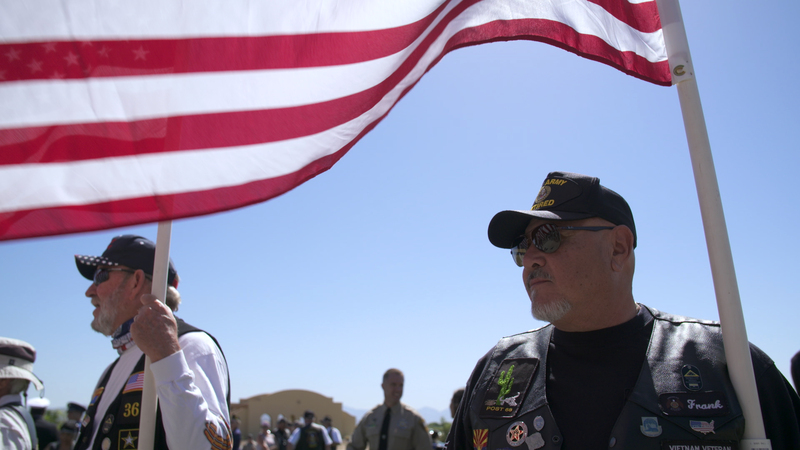 For one group of Tucsonans, honoring departed soldiers is something they do year-round. The local chapter of the Missing in America Project tries to find word of recently deceased veterans and make sure that these men and women are interred with full military honors. Zac Ziegler attended one of the ceremonies.